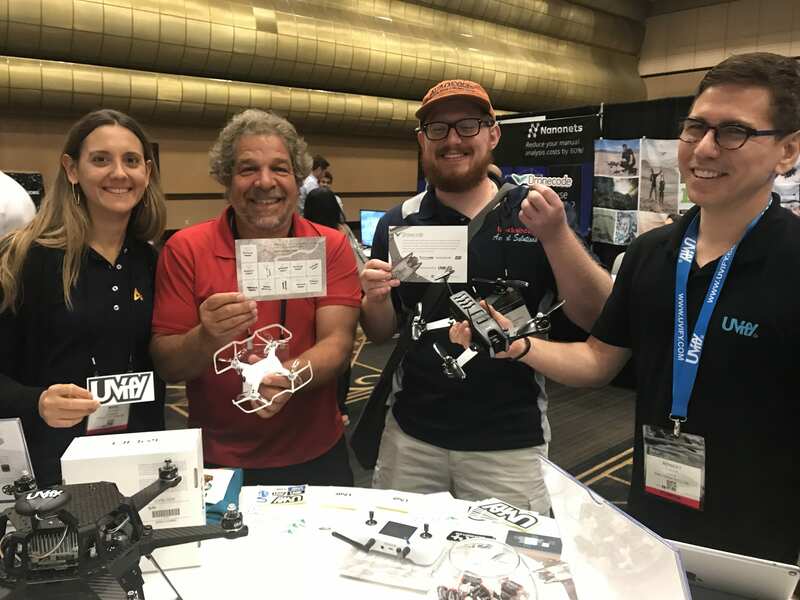 We joined the Drone industry at InterDrone 2018 (Las Vegas, Sept 5-7), we prepared a week of announcements, demos, panels, classes, and keynotes, here’s a wrap-up of everything we announced at InterDrone 2018. On the show floor - demos! 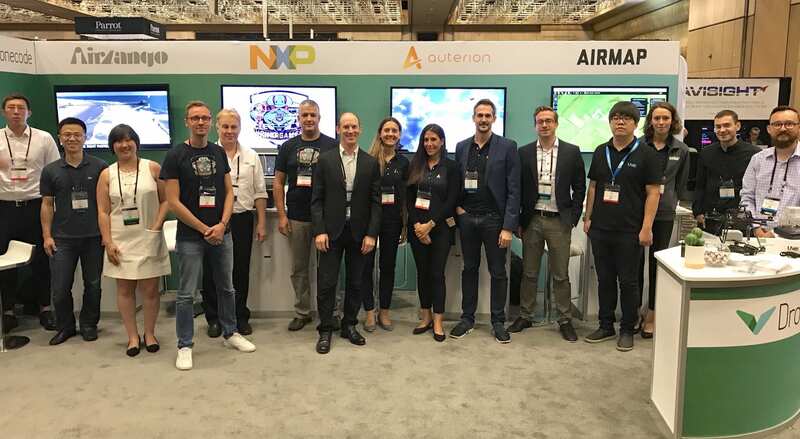 On the first day of the show NXP was announced as our latest Gold member, NXP joined members Airlango, Auterion, AirMap, and UVify at our booth, where we showcased the Dronecode stack powering their latest products and services. 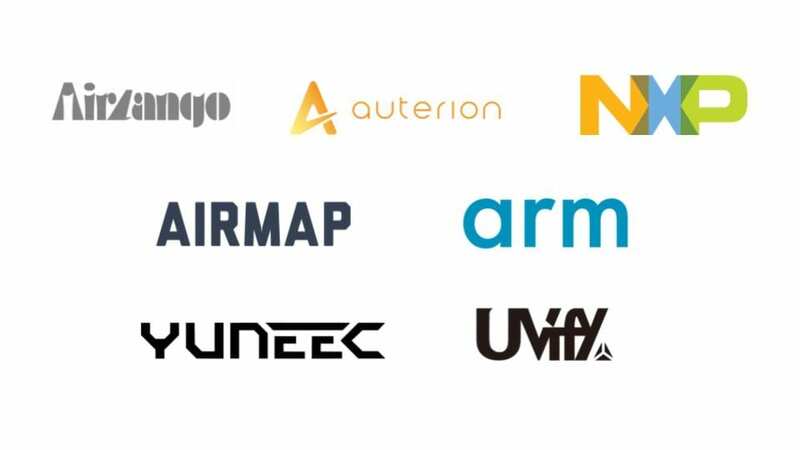 Silver member UVify sponsored the Dronecode passport, a program designed to showcase the diversity of our ecosystem. 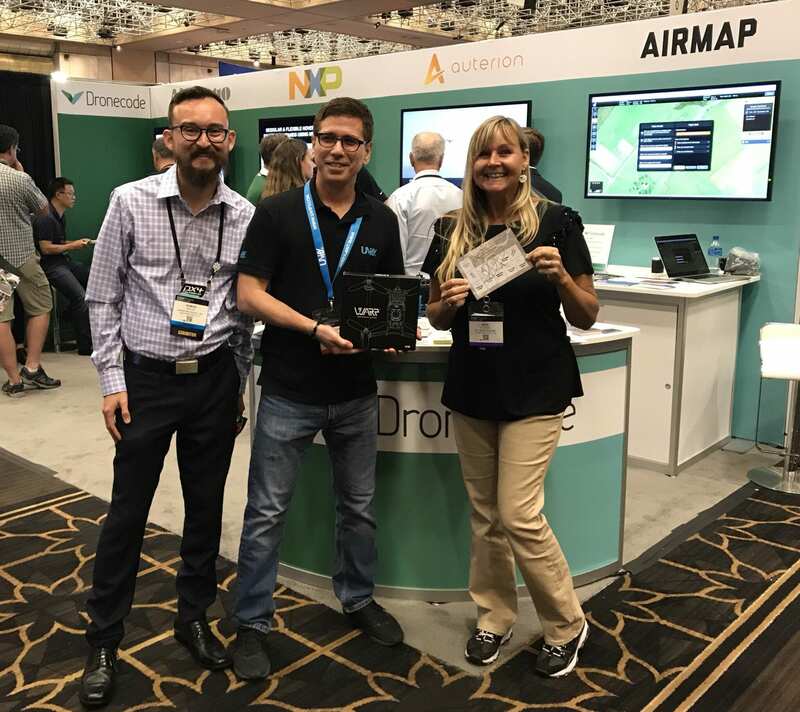 Show attendees had the opportunity to learn more about all Dronecode members exhibiting at InterDrone (Airlango, Auterion, AirMap, NXP, Wingtra, Yuneec, 3DR, Sentera, Optelos) and enter a daily draw for a chance to win a UVIfy prize! 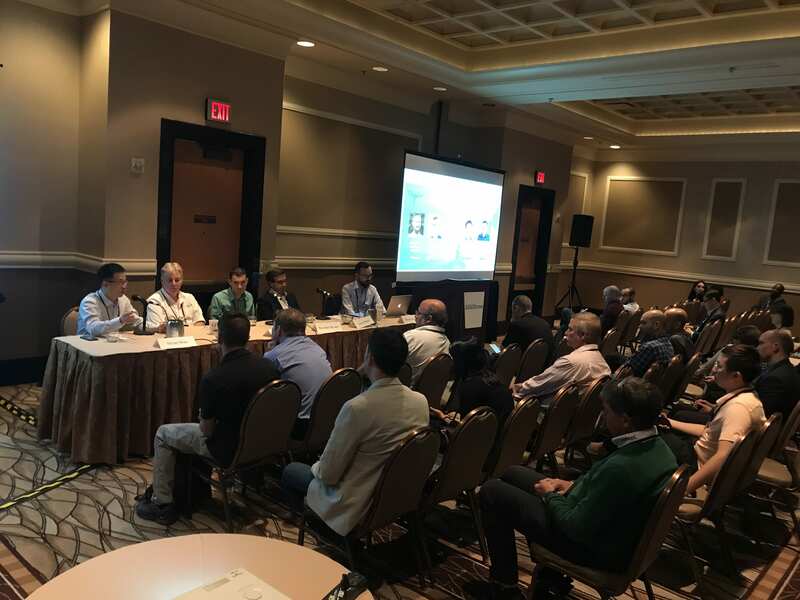 We were joined on stage by Dronecode members, Airlango, NXP, AirMap, and Auterion (in order from left to right) for an open discussion on how collaboration works in Dronecode. Our members shared insights into why they choose open source and how it enables their businesses. The audience was very energetic and had lots of questions for the panelists, and we wish we could have time to talk to everyone. 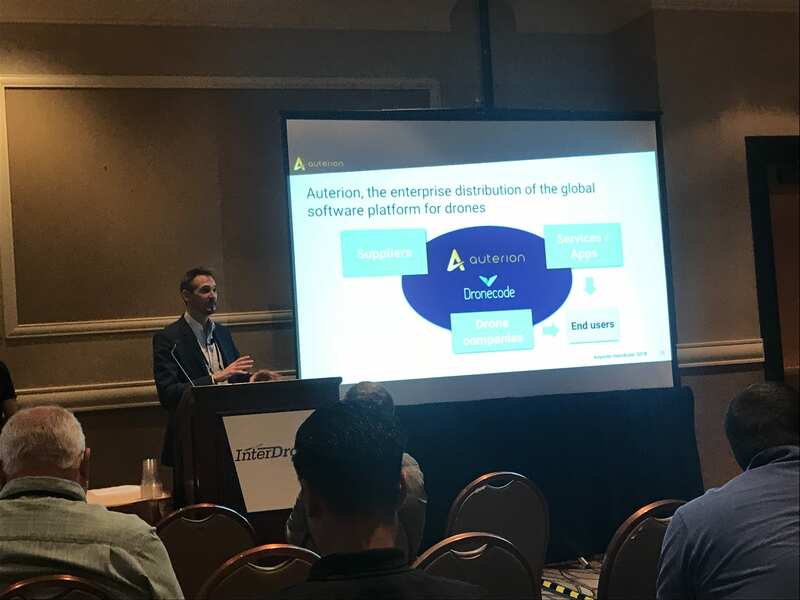 Lorenz Meier, gave a keynote on the transformation of the industry and provided an outlook for next wave in the drone industry, Lorenz highlighted the need for the drone industry to collaborate on open standards. 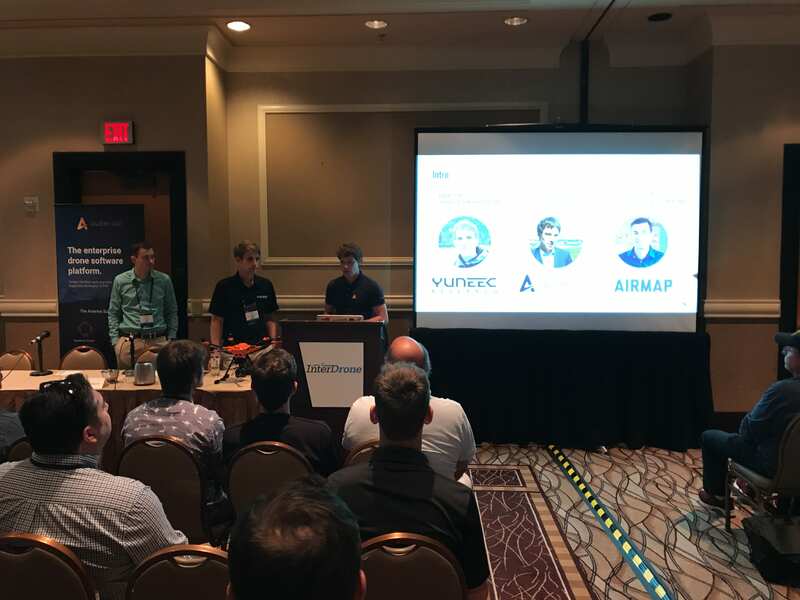 Presented by co-maintainers Julian Oes (Yuneec Research), and Jonas Vautherin (Auterion) with Brandon Brown (AirMap), they showcased the latest iOS (Swift) Dronecode SDK, Python SDK, and the newly added QGC-AirMap integration powered by the AirMap SDK. 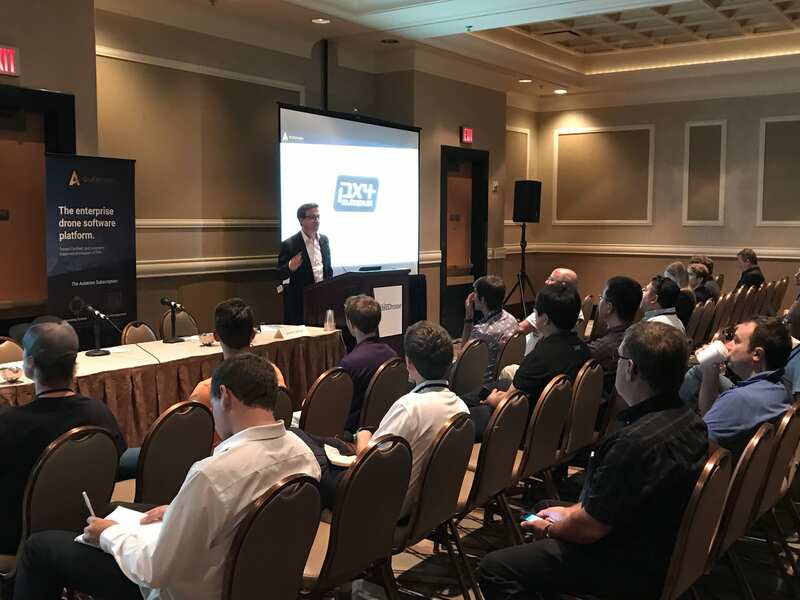 Targeted at product and business managers, presented by Kevin Sartori (Auterion) and Jonathan Claman (Auterion) provided a comprehensive introduction to how to build a state-of-art commercial drone in 2018/2019, by leveraging open source technologies and collaborating on open standards solutions. We couldn’t have had a better close to the day, thanks to more than 100 community members who joined us on Thursday night. It’s always a good idea to get some face-time, especially when more than 25 companies get together in a fun and vibrant environment over flavorful Mexican dishes. Lastly, you might want to jump over our Facebook page for the all the fantastic photos, and yes, there was a photo booth! Check out the full album here. In the Media - Announcements! We’d like to again give a big THANK YOU to all the sponsor member companies of InterDrone 2018 for your generous support. We will be exhibiting at AUVSI Xponential 2019 (April 29 – May 2, Chicago). If you’re interested in co-marketing and partnership opportunities with us, contact Ramon Roche, Dronecode Program Manager.